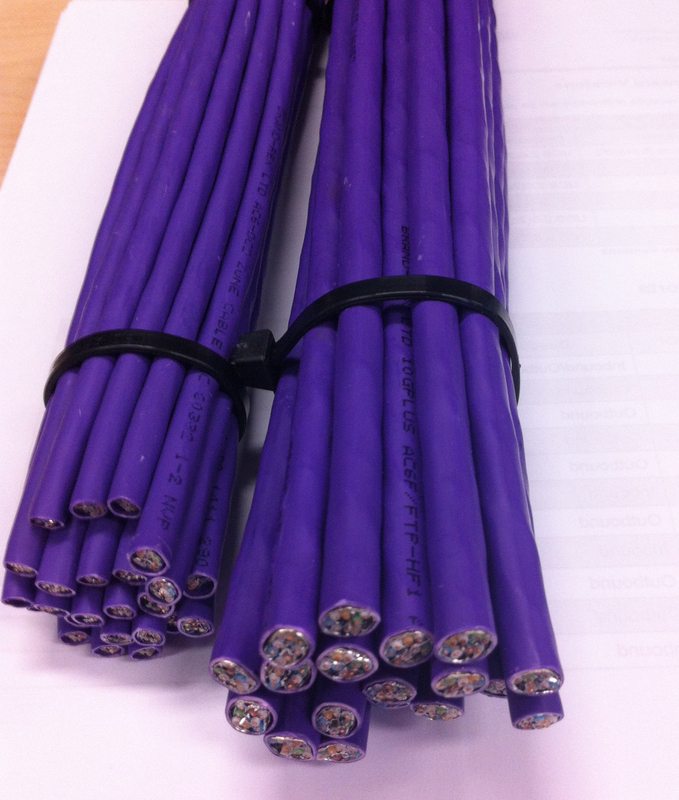 I’ve talked bit about the problems of using Category 6 copper cabling in the data centre. The sheer size and weight of the cable is a serious problem. Unreliability of copper in terms of Bit Error Rates (BER) and long term electrical capability. Take a look at this sample that I was able to access recently. The Category 6 cable is twice the size of the Cat5 cable and seems to weigh about twice as much!! This data centre decided to not use Cat6 cabling because the cost of enhancing the cable trays was more than the cost of using fibre optic or active coaxial cables. The requirements was to double the number of cable trays around the data centre and the cost was excessive. This is one of those times that a cheap NIC will quickly cost more. It’s quite hard to explain this to managers, they simply aren’t bright enough to understand the maths involved here. And especially you can’t charge the extra cable trays to each individual project means that it’s a major infrastructure problems to get solved. 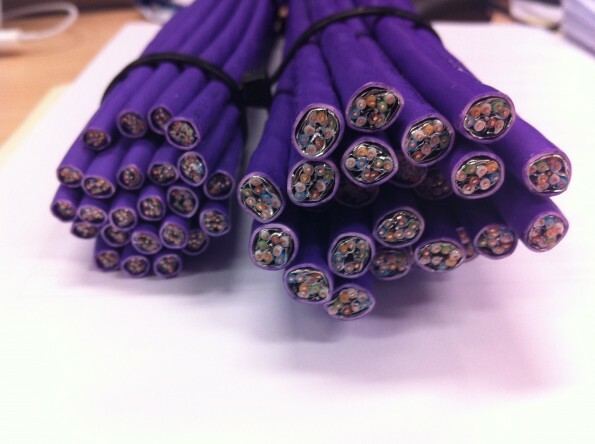 Hidden costs are still real and the long term impacts of Cat6 cabling are serious. Think carefully. With 10G fiber *still* US$1000+ per link for optics and cabling, you’re going to see a lot of Cat6 and 10GBASE-T for a long time. Definitely. Some sort of standard around USR optics, and support for them for server to switch connectivity would go a long way. I’d much rather use USR optics than twinax even if the initial cost was a bit higher. Only if you’re buying vendor optics. OEM optics are ~$250 a link for multimode, ~$400 for singlemode, and fibre isn’t all that much. You can get LR 10G for 120USD pop. And SR for significantly less. I know your general concern and stance on Cat6A and general copper usage in the datacenter. You’re hoping for fiber everywhere, and I somewhat agree. I’m curious on your stance of using Twinax (10GSFP+Cu) for the short runs (you can somewhat count FET in this as well). Other comments in this thread have appropriately indicated that vendor transceivers are still ridiculously expensive. Also non-vendor supplied transceivers go for a lot less (but gets you in a little trouble sometimes when calling Cisco). But, using twinax is a relatively low cost alternative for 10G connectivity if less than 10 meters. This is sufficient for usually ToR or CoR designs for access connectivity and sometimes as a general interconnect (again if distance allows). It’s also much less power, as that has also been one of your concerns with T based connections.